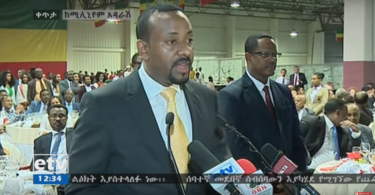 (OPride)—Ethiopian Prime Minister Abiy Ahmed has been in power for 25 days. In that time, he has visited five of Ethiopia’s nine ethnic-based states. Call it charm offensive or a victory lap. In nearly all of his outings, Abiy met with locals, listened to their grievances and responded to at times angry questions from the audience. He also gave a wide-ranging speech in the capital, Addis Ababa to an audience of 25,000 people. He hosted dinner with leaders of opposition parties, including those who were released from prison only a month earlier. He conferred with business leaders and urged them not only to boost their contributions to the economy but also aid his government’s fight against organized corruption by refusing to pay bribes for services and rights they are entitled to by law. He addressed a high-level African security forum. This week he hosted Zeid bin Ra’ad Zeid al-Hussein, the United Nations High Commissioner for Human Rights. In short, Prime Minister Abiy has given a lot of campaign-style stump speeches. In a way, it seems as though he is campaigning for what is ahead. He is the commander-in-chief but real power remains concentrated in the hands of hardliners in the military-security establishment. It makes sense then that the new leader is seeking popular support to strengthen his hands as he sets out to reform this deeply entrenched system. That is not all. As laid out in his inaugural speech, national unity and peace are central to all of his speeches. There is a reason for that. Abiy took over a country riven by ethnic and political divisions and tensions. Nearly three decades of dominance by the Tigrayan People’s Liberation Front, hailing from a community making up merely 6 percent of the country’s population, has resulted in growing resentment, which has given way to ethnic discord and an ethnicized nationalist fervor. 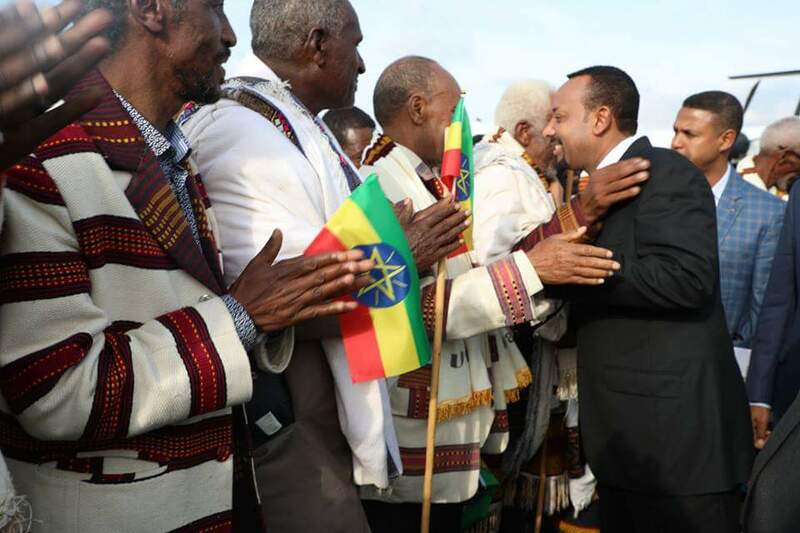 Abiy is not calling his compatriots to shed their ethnic heritage but to transcend it to forge national unity so as to promote their common good. More than anything else though, the new premier offered the people of Ethiopia hope – something that’s been in short supply under the Ethiopian People’s Revolutionary Democratic Front (EPRDF), which ruled the country with a top-down and iron-fisted approach since 1991. He even defended his speechmaking in Obama-esque “not just words” style, saying words do matter and one cannot govern without ideas and a political vision. Inevitably for the young leader, who inherited a herculean task of political transformation at only 41, the high stakes public engagement also mean some inevitable gaffes. He has angered ethnic Amharas by comments he made in Tigray; and his own Oromo constituency by comments he made in the Amhara state. On April 24, he gave the nation’s highest civilian medal of honor and a diploma to his predecessor at an emotional honoring at his office. The unprecedented recognition angered many who felt that Hailemariam Desalegn, who oversaw nearly six years of violent security crackdown and the internal displacement of 1.3 million people, should face justice and be held accountable for his role as well as complicity. The vocal diaspora, including those who opposed Abiy’s ascent from the beginning, have seized on these comments. He’s been accused of many things, including suggestions that he’s a crowd pleaser, who is willing to say anything to appease an audience; he is inexperienced; he is not Oromo or Oromo nationalist enough; he is superficial; he is just another puppet of the establishment; a breeze of fresh air, inspirational, etcetera. To be clear, his gaffes in Tigray and Amhara were unwarranted and avoidable. But, justified or not, the avalanche of the ensuing controversy means a lot of important comments have been lost— some in translation, others in the muddied backlash. First, Prime Minister Abiy has distinguished himself in one very important way: His style. He comes off as intentional, patient, personable and not too wedded to generic party-speak. Most importantly, he listens and is attentive to public opinion, directly clarifying even his gaffes. When he went to Gondar and Bahir Dar, for example, he faced residents angered by comments he made in Tigray which appeared to downplay the issue of Welkait-Tegede region—a bone of contention between the two northern states. Instead of playing defensive or doubling down, as EPRDF leaders before him did so often, he acknowledged that his comments, as they were released to public by the media, lacked the proper context in which they were uttered. And he gently told the audience—clearly aware of the online backlash—even if he made a grave mistake, per the Ethiopian culture, the people of Gondar and local elders should offer wisdom and advice before resorting to criticism. He allowed himself to be vulnerable—a rarity for an EPRDF leader and for that matter unheard of from previous Ethiopian leaders. Again, on April 26 in Hawasa, the capital of the vast Southern region noted for its huge diversity of culture represented under one roof, he defended the decision to honor his predecessor, a subject of ongoing rancor. In so doing, he offered his thoughts on an issue that continues to bedevil many African nations: Term limits. “The main goal of recognizing the former prime Minister Hailemariam Desalegn was to send a teaching message to those who still consider leaving power a question of life and death that such an honor awaits them should they decide to voluntarily step down,” he told a cheering audience. “We are hearing that the recognition has upset those whose loved ones were killed during his tenure. Both as a party and as a government we have apologized for what happened. We apologize again. We are ready to do all that is necessary and all that we can to help those who were adversely affected by the conflict. 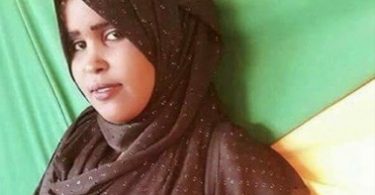 As a person though, let alone ordering the killings of individuals, Mr. Hailemariam is a kindhearted person who sat and wept with us when people were killed, be it in Oromia or other states. At a time when so many prefer to die than leave office way past their retirement age, his decision to resign was a great lesson. Ethiopia is due for a national election in two years. Abiy has already pledged to step aside should his party lose at the ballot box in 2020. Granted that much work remains to be done to reform the electoral law, to make the electoral board free from the influence of the incumbent party and to ensure that there is a level playing field for the opposition, Abiy is hitting all the right notes. As with all his other promises, if he follows through, the young premier is poised to transform Ethiopia, which had its first peaceful transfer of power in 2018 in all of its history. In his speeches, Abiy has identified key priority areas. These include addressing mounting public grievances, fighting corruption, and preventing wastage of resources. Toward that end, the new leader has drawn red lines for all public servants. “The public is fed up with graft and maladministration,” he told parliament earlier this month. “This is a red line that…will not be tolerated.” He has also vowed to crackdown on the lucrative black market for foreign currency exchange. This was reinforced by the appointment of a close ally at the Ethiopian Revenues and Customs Authority, one of the most corrupt and inefficient agencies in the country. He has also called for judicial independence and promised to make the national army accountable to the constitution, not the governing party. 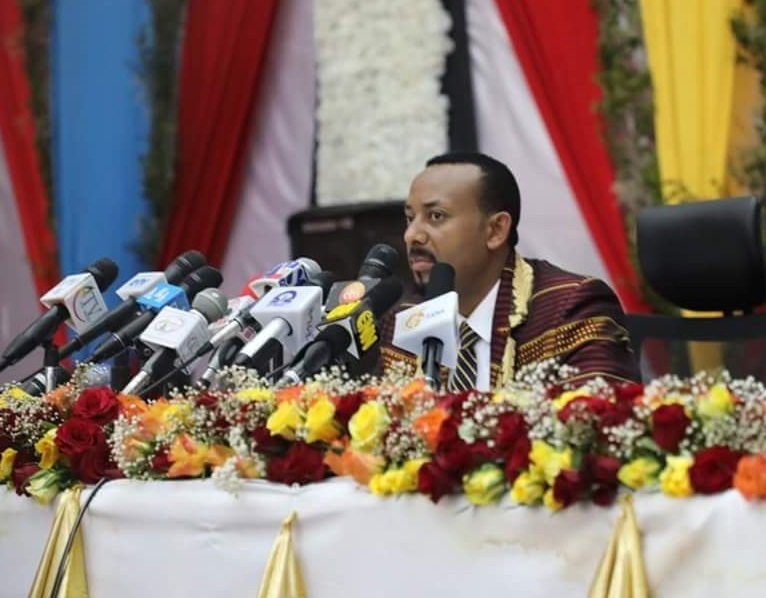 “We will do everything necessary to ensure the justice system – which have been a source of our people’s disillusionment—would work in such a way that their independence and professional capacity are assured,” he told Addis Ababa residents on April 16. For a country that was only a month earlier talked of as if on the brink of chaos, the growing sense of hope, of a national renewal is a remarkable turnaround. Abiy has his critics, mostly from the vocal diaspora, who question his decision to prioritize public rallies and speeches rather than walling himself in his office and “governing.” The fact is he needs public support to face his nemesis, the entrenched establishing accused of overseeing the organized corruption and violations of human rights. After all, it is protests by the public that brought him to power. One fact is indisputable: Ethiopia is undergoing a significant transformation. Abiy’s young government has inspired tremendous hope. He faces outsized expectations and near insurmountable challenges to reconcile between EPRDF’s developmental state model and public demands for real, democratic reforms. Transitions seldom follow straight lines. But, so far, beyond his critics singular focus on a few gaffes, Abiy is saying all the right things. He is expected to wrap up the first phase of his national tour with a stop in Bale in southern Ethiopia in the coming days. By now, he has heard enough public grievances. He should soon turn his attention to cleaning up the bureaucracy and pushing his party to embrace change. He will need some time and a continued public support and goodwill to deliver on these and other promises. Well, for now he is campaigning and giving speeches-which is fine for now. Unfortunately, the more he speaks the more it becomes apparent he had big holes in his understanding. The Wolkiat issue is a big one, and I just don’t understand how he could screw that one up. Note to Dr. Abiye: The main reason ANDM voted for you is because of the Wolkiat issue, i would think that is the one issue issue he would have researched-and his wife is a Gondere too! The second issue if term limit. Why is that an issue now? Also, as if the PM position is a real position right now. His speech to the business community is another one. Telling them to bring in their foreign currency from Dubai as if they are the ones running the economy to the ground and not the EFFORT connected companies? I am afraid he is an empty suit. As the saying goes, the road to hell is paved with good intentions. Dr. Abiy Ahmed sure enough is a leader with good intentions and certainly understands the political challenges he is facing from diverse constituents. However, he alone couldn’t solve the current problems in Ethiopia. We all need to move away from the current divisive and tribal political culture and make all the efforts to build a democratic form of goverment based on the rule of law. We need to form a qgoverment that respect human rights and freedom of speech with independent judiciary that is free of nepotism and corruption. If we build a democratic country where civil liberties and individual rights are respected; and strive to develop the economy, educate our young citizens to create a vibrant middle class, the country and the people will have a lasting peace for generations to come. However, in the absence of democracy and human rights and with the current prevailing tribalism no single leader or political parties will be in a position to solve our surmountable problems. if there is no public uprising there is no need to have SoE even if not lifted it will repealed by disuse. people are expecting genuine political reforms and end of marginalisation. we should give him a time to commit the promised reforms.